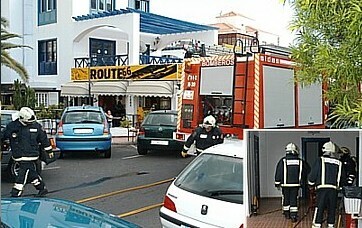 The Local Police and volunteer Firefighters of Santiago del Teide yesterday had to act in an emergency situation when a fire broke out in the shopping mall Tenir in Puerto Santiago. The fire started at 6.30 pm in the power distribution room in the basement of the building. Fortunately there were no injuries.